The FIA WEC will be racing in Germany for the first time later this month, however endurance racing has been in Germany for decades. We take a look back at the last time LMP1 cars raced competitively on the famous Nurburgring Grand Prix circuit. The date was the 23rd August 2009, and the Le Mans Series was getting ready for what would be the series’s final visit to the circuit. Henri Pescarolo’s team had just moved to the top of the Le Mans Series standings courtesy of their win last time out in Portugal. 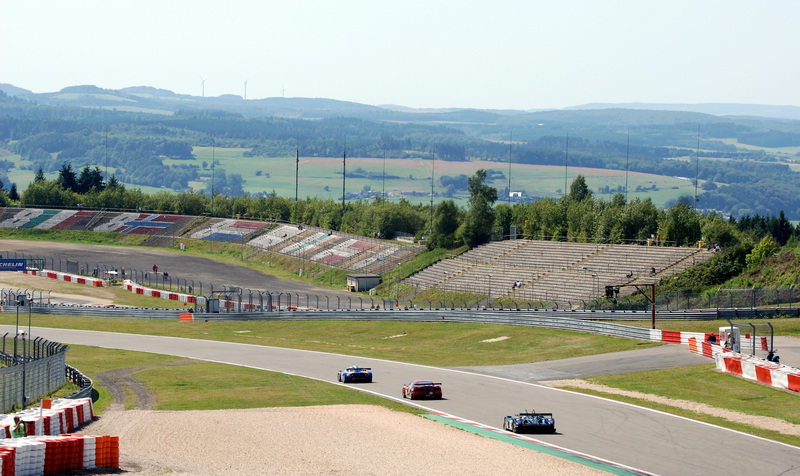 None of the teams had been double winners previously in the season, so it was anyone’s guess as to who would come out on top at the Nurburgring. Come race day, the sun was out and all 38 cars made the start, and completed the first lap. However it soon became clear that not all 38 would finish. Just after the first pit stops, the winning Pescarolo of Jean-Christophe Boullion, Christophe Tinseau and Le Mans veteran Emmanuel Collard from Portugal, retired with mechanical issues. The #16 car completed a total of just 35 laps. GT1 was the smallest class on the grid that day, with just 2 cars in the class. The Larbre Competition Saleen S7 started strong and built a lead in the early stages. However The Alphand team’s Corvette C6R slowly started to close the gap once the tyres of the Saleen started to go off. It went from bad to worse for the Larbre team after they were forced into the pits for repairs, handing the lead to the Corvette. Once the Saleen emerged from the pits however, the Corvette hit trouble and headed for the pit lane it’s self, where it stayed until the end of the race, although it did complete one lap at the end to be classified. 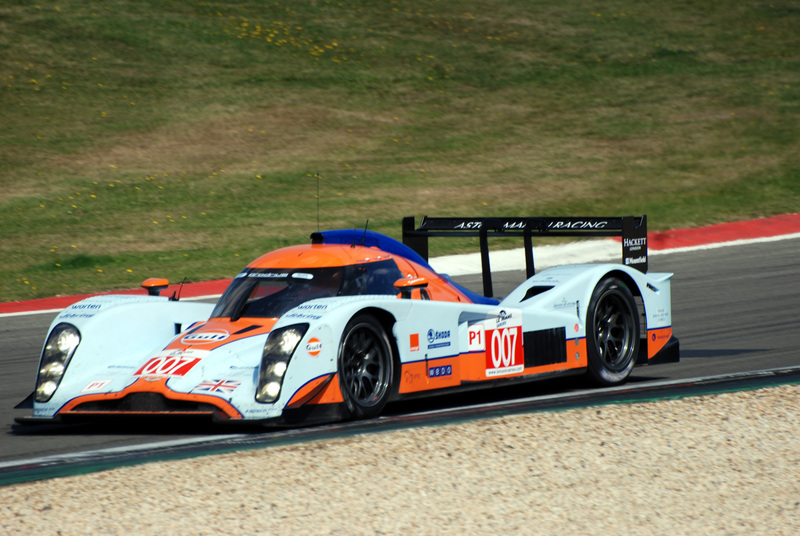 The LMP2 class had many more enties than GT1, with 13 out of the 38 entries coming from the class. By the end of the 1000km, it was the Ginetta Zytek prepared by the Quifel-ASM team in first position, driven by Miguel Amaral and Olivier Pla. Amaral put in a hero stint to lose next to no time, despite all the professional drivers attempting to close the gap that Pla made. The final two podium positions went to the #29 Racing Box Lola and the #35 Pescarolo Mazda respectively. In GT2, the JMW Ferrari started strong taking the lead on lap 1, however early mechanical issues forced the car into the pit lane. This handed the lead to the Hankook Ferrari F430 of Pierre Kaffer and the late Allan Simonsen. It wasn’t to be a win for the Hankook team, as the Team Modena Ferrari of Antonio Garcia, Leo Mansell and Toni Vilander closed the gap, and passed the other prancing horse. That was not the end of the lead changes for GT2. The Modena Ferrari suffered a clash with an LMP1 car in the later stages of the race which handed victory to the Felbermayr Porsche of Marc Lieb and Richard Lietz. Second spot went to the Spyker of Tom Coronel and Jaroslav Janis. LMP1 was a story of one manufacture, Aston Martin. Despite the Eastern European #008 car hitting problems and visiting the pit lane, it still managed third to complete an Aston Martin 1-2-3. By the end of the 1000km the #007 Lola Aston Martin of Stefan Mucke, Jan Charouz and Tomas Enge won the race ahead of the #009 car of Darren Turner and Harold Primat. Best of the rest was the Kolles Audi R10 TDI. 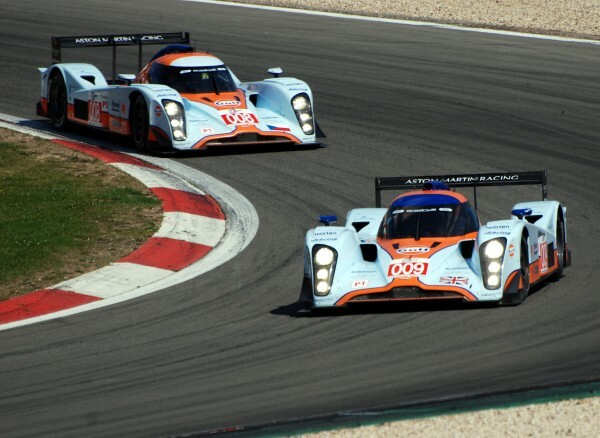 Since then Aston Martin have pulled out of LMP1, so a repeat of their dominant display in 2009 is not on the cards. Instead home teams Audi and Porsche will be on home soil in the WEC for the first time against the Japanese teams Toyota and Nissan. The race starts at 13:00 German time August 30th.